A Pandora bracelet is a type of bracelet with many beads and charms. The bracelet is composed of sterling silver or gold. Pandora beads and charms can be composed of various materials, including silver, gold and glass. These bracelets are very appealing and attractive but can fall prey to the elements. The sulphur in water can damage the bracelet, causing it to lose its luster and shine. 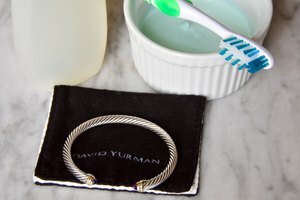 With a few simple household ingredients, you can restore the shine and make the bracelet look almost brand-new. Remove the glass beads and charms off the Pandora bracelet by silding them to the end of the bracelet and removing them by hand in an unscrewing motion. The tarnish solution in Step 4 will damage the glass charms and beads of the bracelet. 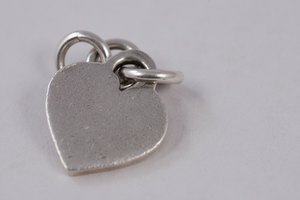 The tarnish solution is safe to use on the silver and gold charms; these do not need to be removed. Take a small shallow dish and cover it with aluminum foil. The aluminum foil helps keep the solution in the next step from damaging the dish and does not react with the silver in the Pandora bracelet. 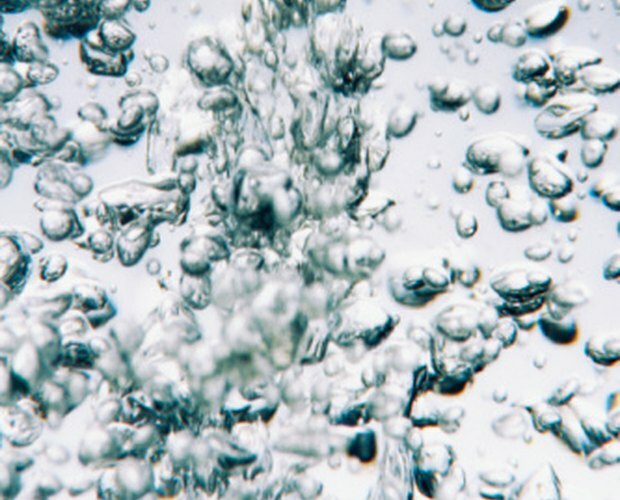 Pour three cups of water into a saucepan. Heat up the saucepan and boil the water. Turn off the heat and set the water aside. Prepare a tarnish cleaning solution by combining one tablespoon of salt and one tablespoon of baking soda to three cups of boiling water from step 2 in a baking dish. The baking soda will soften the water and the salt will add enough roughness to the solution to lift off the sulphur tarnish. Slowly pour the tarnish cleaning solution into the shallow dish covered with aluminum foil. Take a wooden spoon and slowly stir the solution for five minutes. 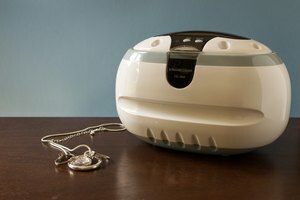 This allows for proper dissolving and mixing of the tarnish cleaning solution. Place the Pandora bracelet inside the dish and completely submerge it in the solution for 15 minutes. The Pandora bracelet is composed of silver and gold. 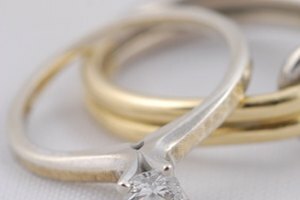 This solutions will lift sulphur tarnish from both metals without damaging the bracelet. Wearing gloves, dab a new toothbrush into the tarnish solution and brush the Pandora bracelet in small circular motion to get rid of small stubborn tarnish spots. Take the bracelet and run lukewarm water over it. Using a polishing cloth, rub the bracelet in a slow circular motion. Rub the glass beads and charms as well. 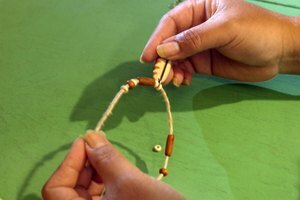 Using a screwing motion, screw the glass beads and charms back onto the bracelet by hand and slide back into place. Alex Said is a science writer whose work has been featured in several online databases as well as government brochures. Said holds a Bachelor of Science from University of Toronto.